It is time to be a rocket scientist. 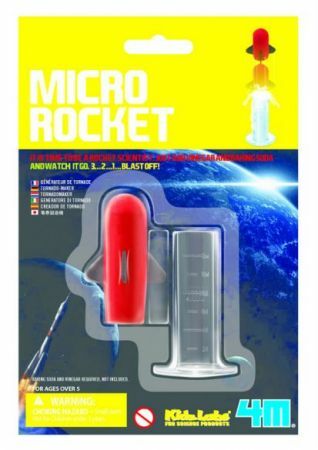 Just fill up the tube with vinegar and baking soda, then watch this micro-rocket blast off! Contents: micro rocket and a launch pad. (Vinegar and baking soda are required, not included). Instructions are printed at the back of the package.